We fully support the goals of the WordPress community. Join Team Orange, our official BoldGrid user group, dedicated to making web design more accessible to everyone. 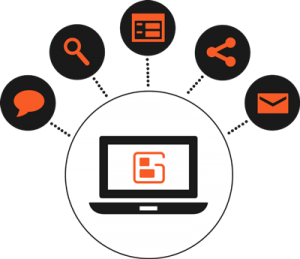 At Team Orange, you can Interact with hosts MikeDemo and Jesse Owens, ask questions about both BoldGrid and WordPress, receive help with BoldGrid products, and share your unique news and case studies. Take a look! Were you looking for our logos or other media information? Click here. Outside of helping grow BoldGrid as a product and receiving personalized attention, we’re going to reward the most active members with prizes as a thank you for their participation. Please feel free to visit Team Orange and become part of the community. It’s your place to receive personalized attention from BoldGrid — make it your own!